(TORONTO, ON) – How does it feel to be told everything is OK when you are on the edge of financial ruin? The repeated government proclamations that the economy is improving is being met by skepticism from Canadians who have been financially battered and bruised. A recent study by advertising agency Bensimon Byrne detailed the pessimism rampant in the Canadian population. · 50% believe their personal financial situation is getting worse, with the bulk of the negativity among middle and low-income earners. Jeff Schwartz, executive director of Consolidated Credit Counseling Services of Canada, Inc., is not surprised by these sentiments. “You can’t tell the guy who is drowning in debt that the economy is growing. He knows that his personal financial situation is worse off, and he’s not alone. We talk to people every day that are struggling to make ends meet, and they aren’t going away.” – says Schwartz. The Organization for Economic Co-operation and Development’s (OECD) recent report that Canada has one of the fastest increasing income gaps among member countries seems to support the feeling among average Canadians. The overall economy may be improving but those gains are unfairly concentrated among the wealthy, leaving the bulk of Canadians disconnected from the economic boasts from Ottawa. · Save first, shop later – Don’t buy what you can’t afford. 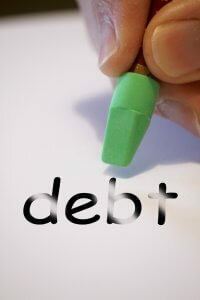 The quickest way to financial success is to live within your means and stay out of debt. Saving little by little will give you peace of mind and a healthier bank account. · Assess the situation – Knowledge is power. Keep track of your financial situation by making a budget and writing down your expenses. Look for areas where you can cut back and save. Finding the small problems know will help you avoid big problems in the future. · Plan for success – Setting goals is a good step towards financial success. Make a savings goal each day, week or month. Focus on achieving it and be ruthless with your finances until you do. Reaching these small goals will eventually lead to your main goal of a debt free future. While the growth of the national economy is generally good news, many Canadians are not sharing in the spoils. This study shows that a large segment of the population is not confident with the economy, regardless of what the numbers say.